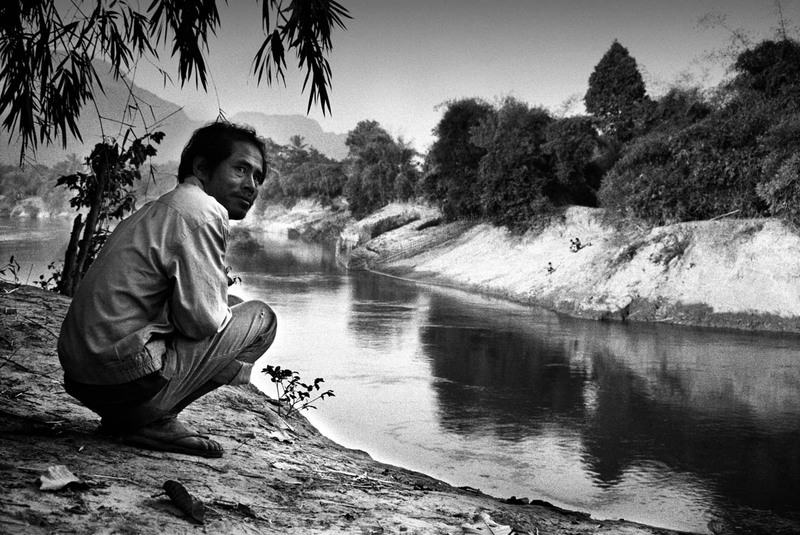 A villager waiting to transport school children across the river in his boat. The promised bridge has never been built and the strong currency and improvised floodings have made this a dangerous crossingpoint for children going to school. So far at least five children have been reported drowning at this point of the river.